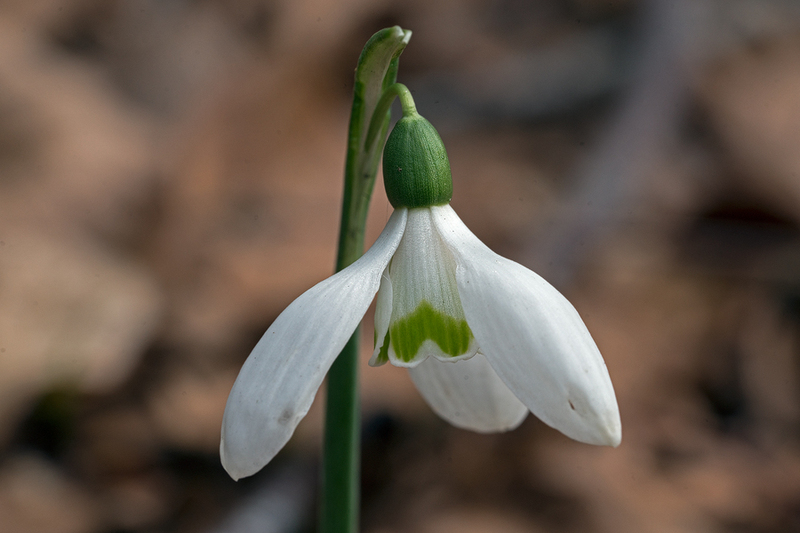 Galanthus reginae-olgae occurs over a large range, from southern Croatia in the north to the Mani Peninsula in the Peloponnese in the south, apparently being commonest near the western margins of the Balkans. As well as occurring on mainland Greece, it is also present on some Ionian islands, notably Corfu. There are also, to my knowledge, two ‘disjunct’ populations (i.e. they are geographically isolated from the main contiguous distribution) in Gargano, the big chunk of limestone protruding from the coast of Italy above the ‘heel’, and Sicily, where it is confined to the north east of the island. This pattern of plants occurring in both Gargano and Sicily, but not anywhere else, occurs in other species too, for example Iris bicapitata and Iris pseudopumila. I do not know whether this intriguing distribution anomaly arises because species that only occur in these two places were formerly more widely distributed and subsequently retreated to the two refugia or whether Sicily and Gargano were once much closer together and have drifted apart tectonically, or for some other reason. There are also occasional reports from Spain of plants that are morphologically similar to G. reginae-olgae but it is biogeographically implausible that these are truly of that species. Perhaps convergent evolution has produced morphologically similar plants? 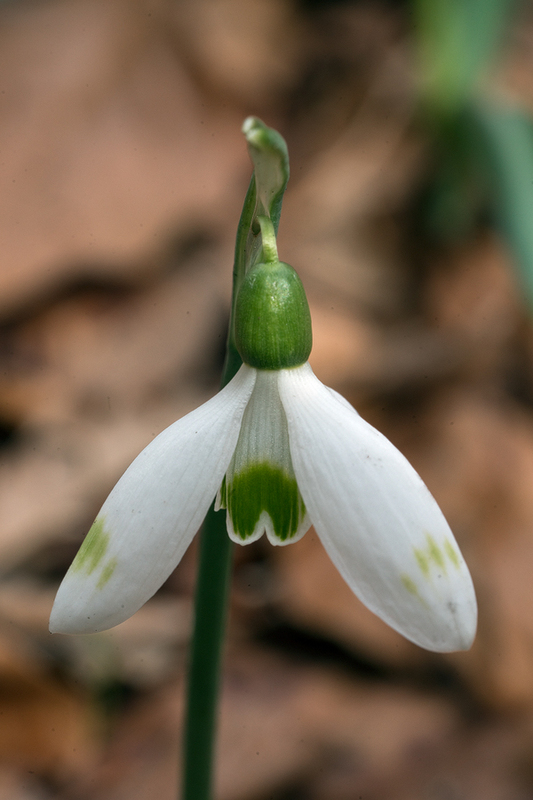 Two subspecies of Galanthus reginae-olgae are currently recognised, subspecies reginae-olgae and subsp. vernalis*. The salient differences between the two taxa are time of flowering and leaf development at flowering time. The type subspecies flowers in autumn, before the leaves have emerged, whereas subsp. vernalis flowers in spring, simultaneously with the emerging leaves. 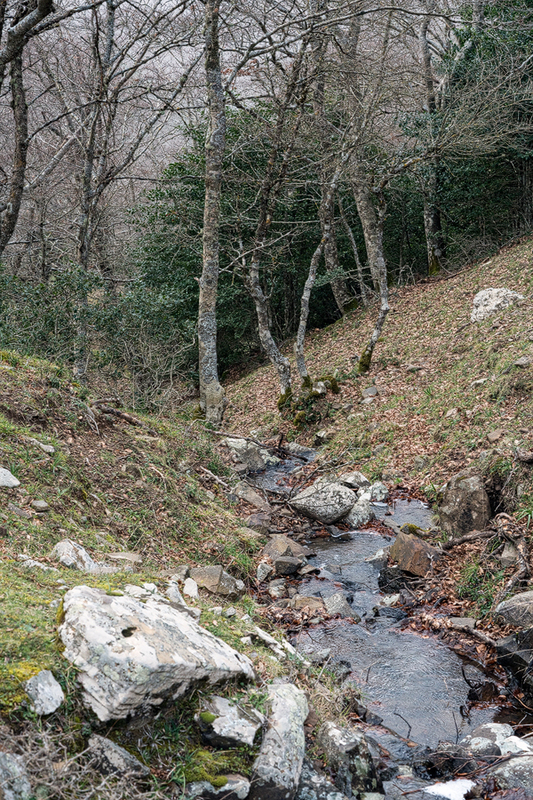 It is certainly true that, if you go to the Taygetos Mountains in late October, you will see G. reginae-olgae flowering when the leaves are still below ground and it is equally true that, if you visit Mount Orjen in Montenegro, in late March, you will see the same species flowering at high elevation, with the leaves well-developed. But it is also the case that, on any date between the two extremes, there is somewhere you can go and see flowering G. reginae-olgae with leaves at every intermediate stage of development, as I have attempted to demonstrate in previous posts. 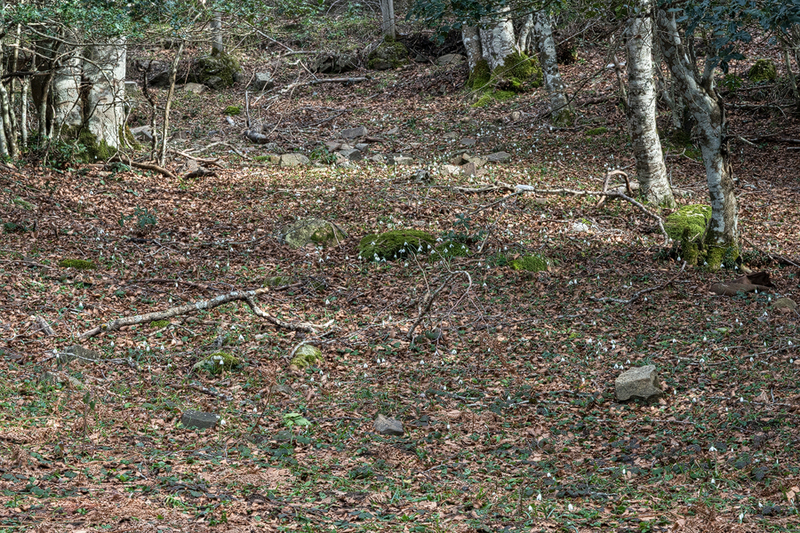 Habitat of Galanthus reginae-olgae subsp. vernalis, Portella della Femmina Morta, Sicily. I had never been to Sicily previously and was keen to go, as much for the reputedly excellent cuisine and local wine as for the plants. 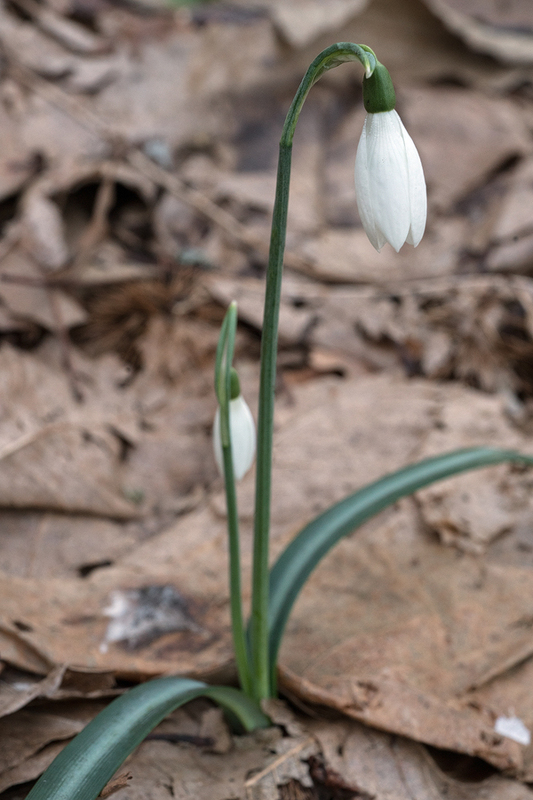 Having seen Galanthus reginae-olgae flowering in the Balkans on dozens of occasions, I wanted to see it in another part of its range. 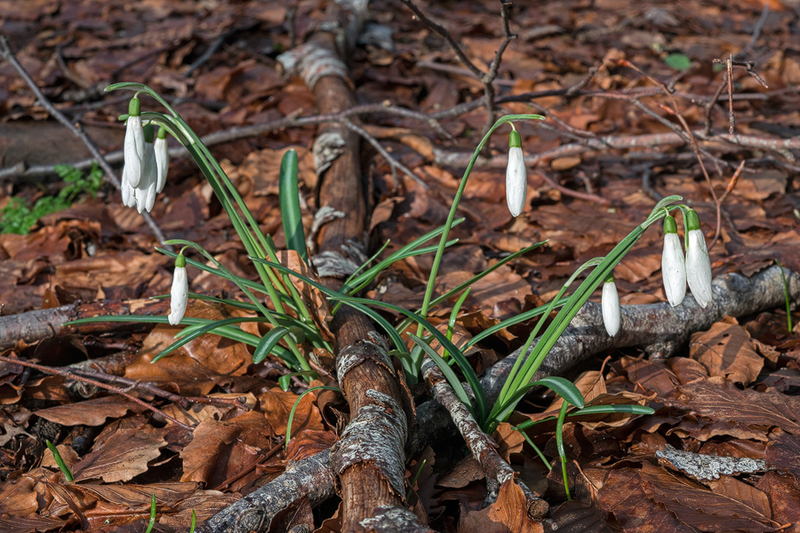 A kind friend – of the variety it has so often been my good fortune to count on – gave me the approximate location of the spring-flowering snowdrops in north-east Sicily. ‘You want the Portella Della Femina Morta,’ he said. ‘You’ll find them up high.’ Another reason to go: who could resist a visit to a place called ‘Dead Woman’s Pass’? I’d had to guess the best dates on which to visit and, as it happens, I got lucky, choosing the second week of February. 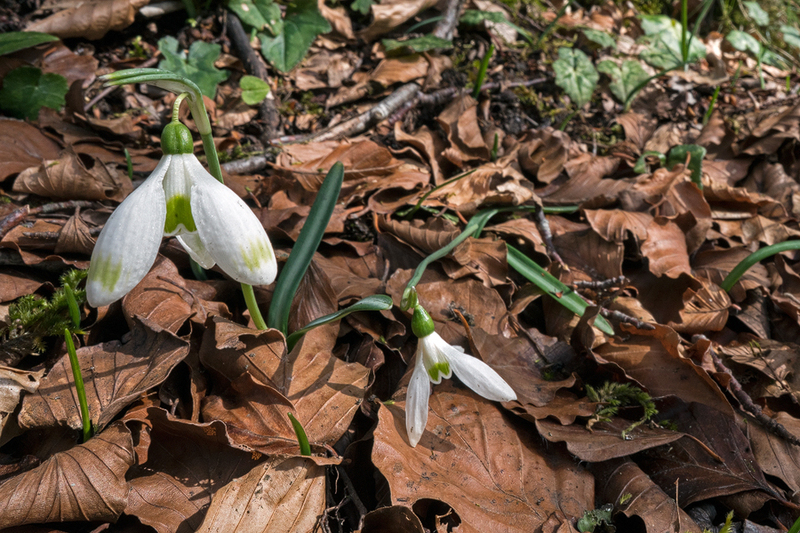 As the road wound up into the Nebrodi Mountains from the main north coast highway, I first noticed snowdrops at an elevation of 1250m, growing beside the road in the thin shade afforded by a canopy of deciduous oaks and beech. They were in full flower or just starting to go over. A week earlier they would have been at their peak. But, not much higher up, I started to come across patches of snow, which was still thick on the ground, above about 1600m. 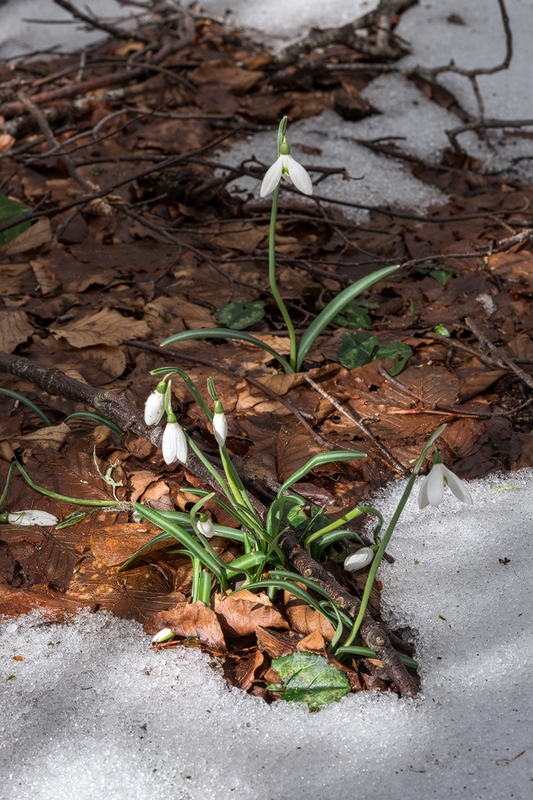 Evidently the snowdrops here are adapted to emerge and flower as soon as the snow melts and so I expect that flowering dates vary from year-to-year. The highest elevation at which I recorded them was 1500m. The populations were large but relatively sparse. Most plants were growing as single bulbs, but occasional clones produced sizeable clumps. 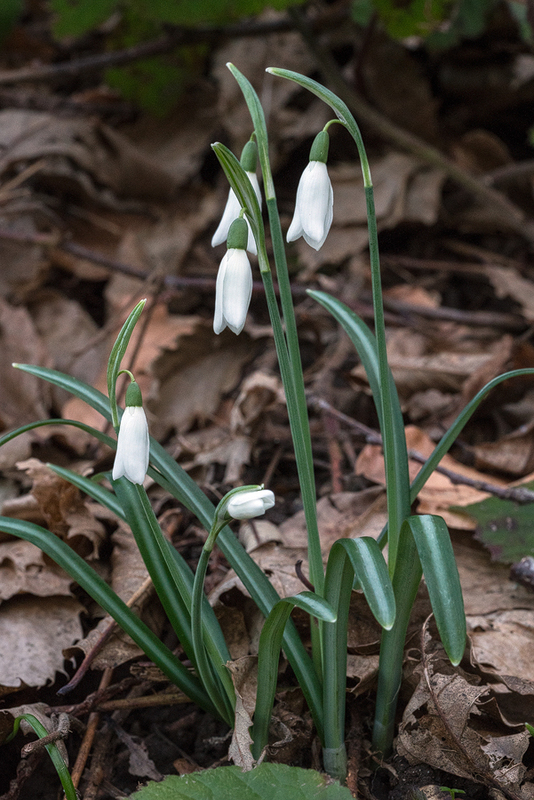 Although not continuous, snowdrops were common in suitable habitat at many locations I visited over the next couple of days, between 1250m and 1500m in the Nebrodi Mountains. Sparse populations, with most plants occurring as single bulbs or twos and threes. Portella della Femmina Morta, Sicily, 9/2/16. An unusually large clump. 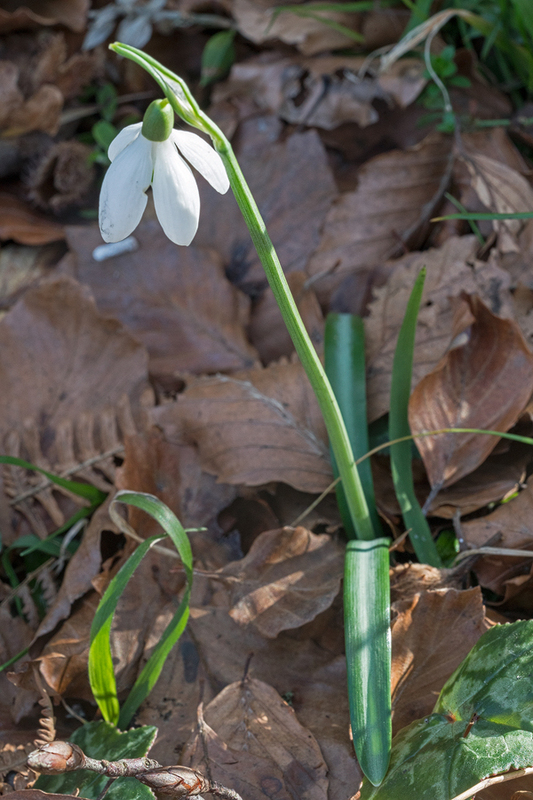 Galanthus reginae-olgae subsp. vernalis. 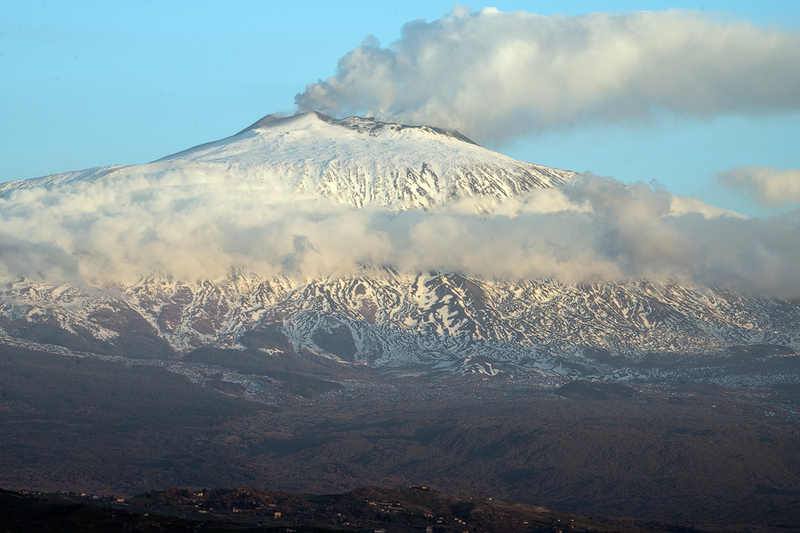 Nebrodi Mountains, Sicily, 9/2/16. The Nebrodi Mountains are made from limestone, as is Gargano and, for that matter, every other place where I have seen G. reginae-olgae. 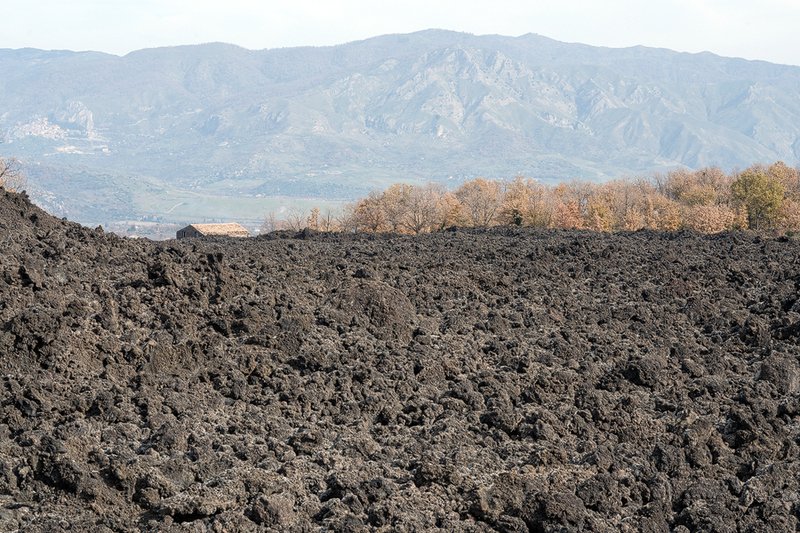 But looming over eastern Sicily is Europe’s tallest volcano, Mount Etna, which was on spectacular form during my brief visit to the island. 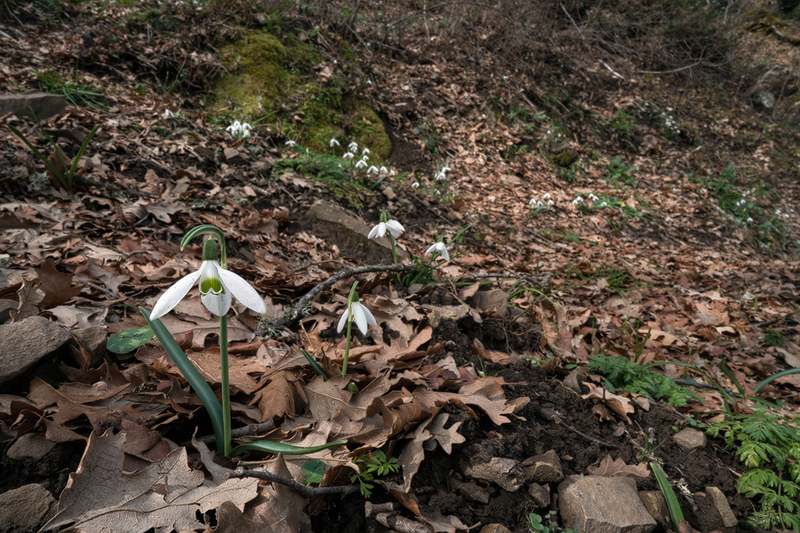 It is surrounded by lava flows, ancient and modern, with their own characteristic flora, but the snowdrops are confined to limestone. The plants themselves were strikingly handsome. The linear (i.e. with roughly parallel sides) leaves had a matt, dark – almost racing – green background colour, with a prominent silver-grey stripe running the length of the upper surface. The leaves terminated in a blunt (‘obtuse’) tip, which was flat, as were the margins. This pale median stripe is diagnostic of the species (other species, for example the distantly-related G. peshmenii, also have it, but it is less prominent). The background leaf colour is much greener than plants of this species from the northern Balkans, where the background colour tends to be blue or glaucous, but similar to plants from Gargano. The vernation was unambiguously applanate, as in other populations with which I am familiar. Galanthus reginae-olgae subsp. vernalis. Dark, matt green leaves, with a prominent, longitudinal, silver median stripe; applanate vernation; flat margins and obtuse tip. Portella della Femmina Morta, Sicily, 9/2/16. It would be very interesting to see the results of a molecular phylogenetic study, comparing plants from all these populations. Are they really a single species, or do the morphological similarities among the disparate populations reflect convergent evolution? The leaves, as the accompanying photographs illustrate, were in all cases well developed at flowering time. The flowers were borne on leaning spathes up to 25cm tall but typically shorter than that. A large minority of bulbs produced a second scape, however, and these plants looked particularly robust. The flowers varied greatly in size, the outer segments ranging in length from 15mm to 35mm, with most towards the middle of this range. 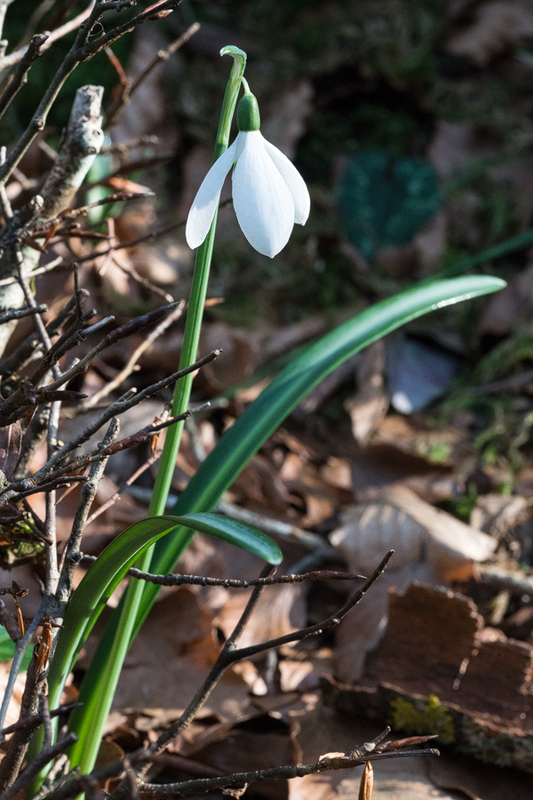 A robust plant of Galanthus reginae-olgae subsp. vernalis, Nebrodi Mountains, 9/2/16. Plants like this were quite common. Scapes that leant at an angle to the vertical were typical. 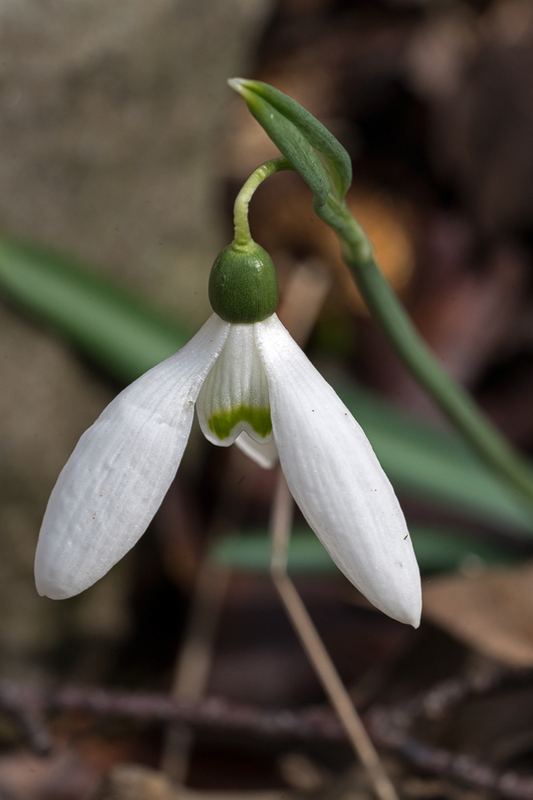 Galanthus reginae-olgae subsp. vernalis. Portella della Femmina Morta, Sicily, 8/2/16. The outer segments gave the flowers an elegant shape, with bowed ‘backs’ and generally rather short ‘claws’ (though there were inevitable exceptions). A typical, elegant, short-clawed flower. 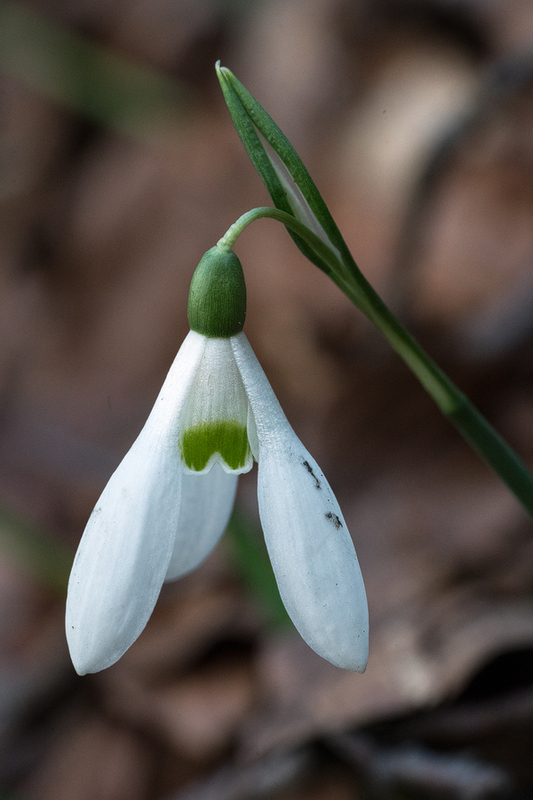 Galanthus reginae-olgae subsp. vernalis. Portella della Femmina Morta, Sicily, 8/2/16. An atypical flower, with rather long claws. 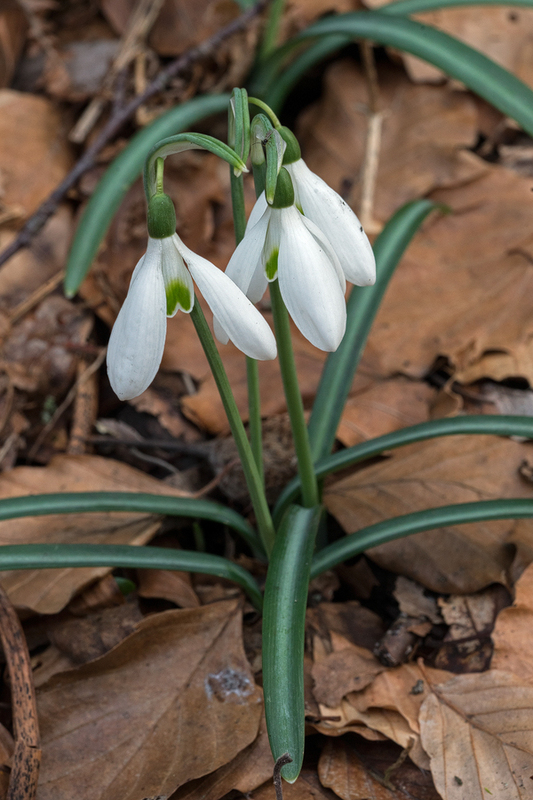 Galanthus reginae-olgae subsp. vernalis. Portella della Femmina Morta, Sicily, 8/2/16. A very small proportion of plants had variable green markings towards the tips of the outer segments. Such plants were particularly common in one part of one population. 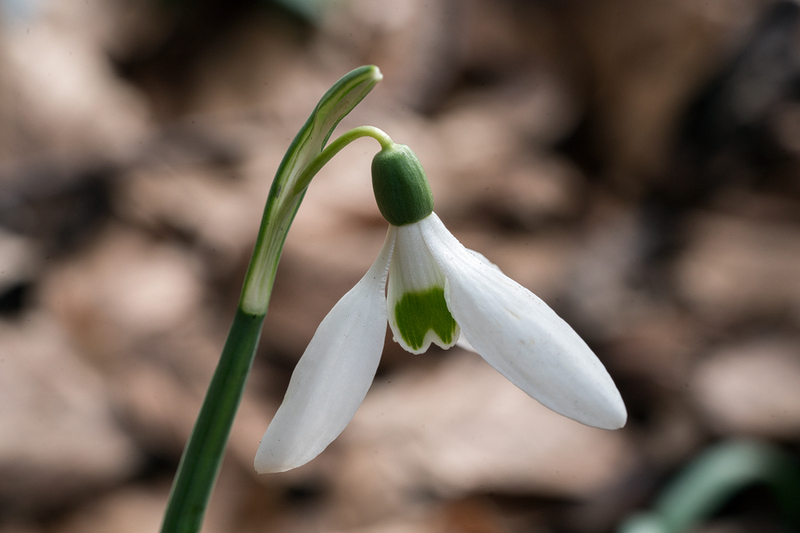 This is often the case with snowdrop mutants in other species too – the mutation is commonest in one area, where it has presumably spread by sexual reproduction. I am curious to know whether this particular mutation has any effect on the reproductive success of plants that bear it. A few plants had four outer and inner segments. An example of a plant with green markings on the outer segments. 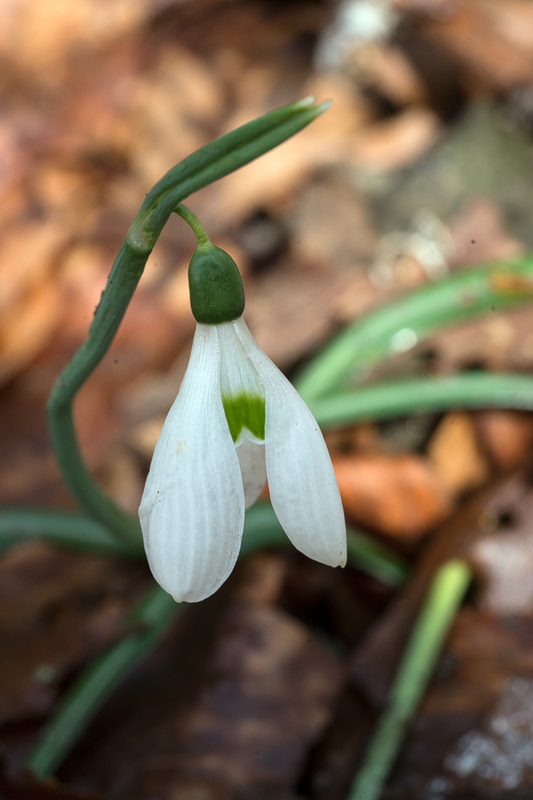 Galanthus reginae-olgae subsp. vernalis. Portella della Femmina Morta, Sicily, 9/2/16. A plant with four outer and four inner segments. Galanthus reginae-olgae subsp. vernalis. Portella della Femmina Morta, Sicily, 8/2/16. The inner segments had a single green mark at the apex of the segment, as is characteristic for this species. The mark was typically an inverted-V or resembled a humpback bridge and restricted to the apical third of the segment. I did not see any individuals in which the mark covered more than half of the segment (as is relatively common on Corfu) or in which it is reduced to a couple of green dots or absent (as is relatively common in the Taygetos). The green mark often ‘bled’ into the rest of the segment, creating a yellowish halo. Variation in inner segment marking and flower shape. 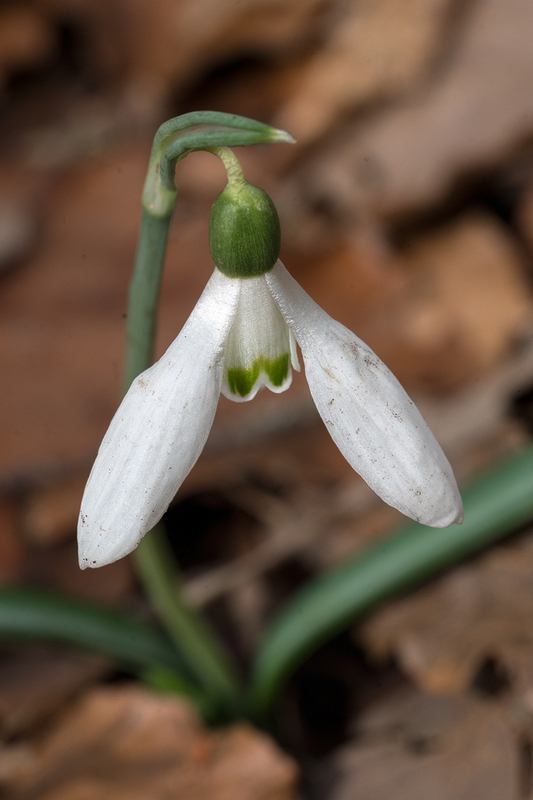 Galanthus reginae-olgae subsp. vernalis. Portella della Femmina Morta, Sicily, 9/2/16. Flowering by the tens of thousand, in open habitat at slightly lower elevation than the snowdrops, was Crocus biflorus, the type subspecies. This is a plant that has suffered from extreme subspecies naming, to the detriment of clarity, when it comes to understanding the relationships among different Crocus. 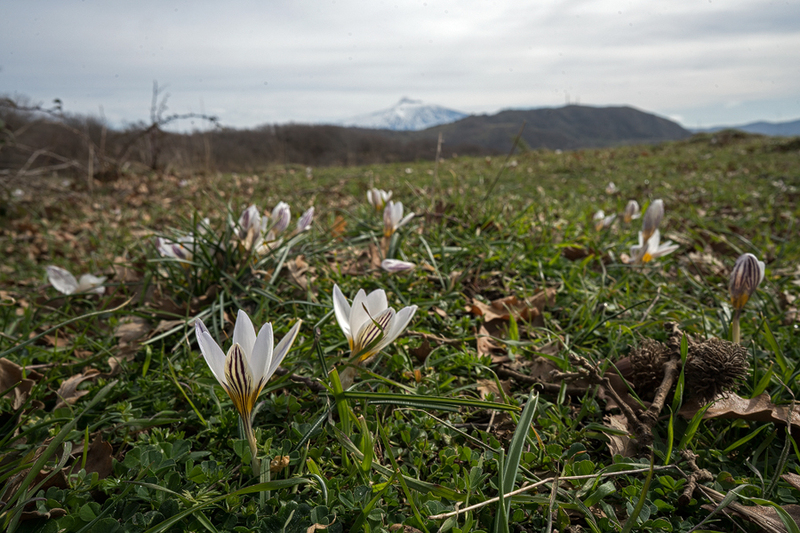 Crocus biflorus, with Mount Etna in the background. Variation in inner segment marking and flower shape. Portella della Femmina Morta, Sicily, 9/2/16. * As an aside for readers unfamiliar with the intricacies of botanical nomenclature, a subspecies is a taxonomic level reckoned to be biologically distinct (as opposed, for example, to a ‘form’, which might refer to occasional individuals within a biological species that have, say, a particular flower colour) but insufficiently distinct to be counted as a separate species. Many systematists argue (and I happen to agree with them) that the concept is meaningless: either a lineage is distinct enough to be a different species, in which case it should be described as such, or it’s not, in which case it should be described as part of the variation within a more broadly circumscribed single species. The concept nevertheless persists, for now. When a new species is first described, it usually doesn’t have subspecies. When the first subspecies is later described, in this case G. reginae-olgae subsp. vernalis, the members of the species that do not fall into this new taxon become, by definition, G. reginae-olgae subsp. reginae-olgae, which you sometimes then see referred to as the ‘type subspecies’.